Now accepting students for online speaking classes with Ben or a trained tutor. 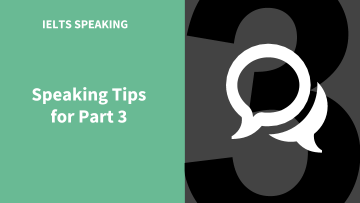 In this tutorial Ben Worthington explores speaking strategies. Ben is doing the classes himself as he develops the winning strategies for obtaining high scores in the speaking section. Ben has developed speaking techniques that he is confident will offer quick and effective results. These techniques will help to build the student’s English fluency and confidence in speaking. One of the techniques that Ben has found to be effective is expanding on the question by giving real-life examples to back up the answer. The other technique is to tell a story, bearing in mind that all stories have a beginning, a middle and an end. Students are taught to tell a story and slowly but surely expand on that story. To do this we use the six question words – how, where, who, why, what and when. Classes will help you to answer questions quickly and automatically, without resorting to poor speaking habits. These can include dragging out words or speaking too fast. The classes start off by focusing on delivery. You listen to the audio and then you practice speaking copying the audio sound for sound, the intonation, the rhythm, and the pronunciation. The content will come later, following delivery perfection. For those who are interested in improving their speaking, there are still some slots available on our Intensive Speaking Fluency Course available via Skype. Join our classes and become one of our success stories. We’d love to have you in our class! I am from the grey but beautiful City of Manchester, home of the Industrial Revolution and OASIS. Check the cue card carefully, remember to read it well – misunderstanding this will cost you points. Memorise this: I’m not quite sure if that is what you are thinking about but I think…. If the word has just disappeared from your mind just describe it for example; exam = the method used to test ability…This helps you to keep speaking without major hesitations. Learn word combinations, for example: BARE IN MIND, TAKE INTO ACCOUNT, etc. You will sound more like a native speaker, it also reduces the chances of error, and isn’t difficult. An effective way to do this is to hear and see the words at the same time, so you can immediately underline and them and start committing them to memory. Be careful – these need to be used in the correct context, so I would recommend practising with a teacher. A) Download authentic native English speaking material, find something you enjoy or useful -this way you will maintain an interest. By combining these two methods, improve your listening AND vocabulary. B) Listen with headphones and mimic, start by mimicking words, then try whole word combinations. Write them down, or circle them if you have a transcript. Try to copy exactly what you hear.